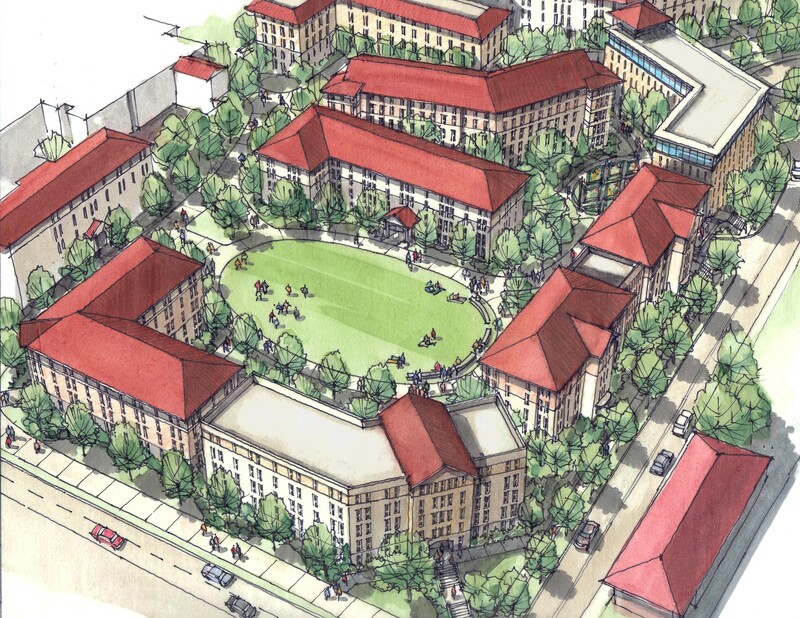 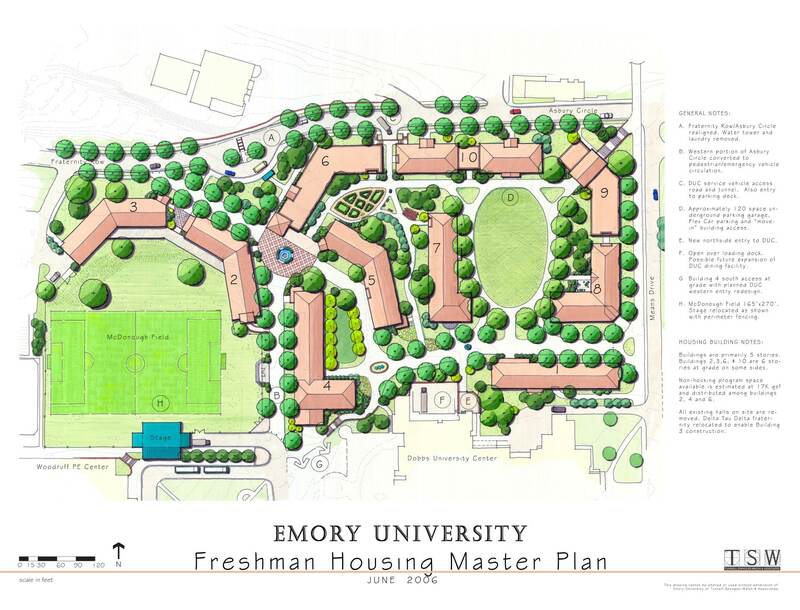 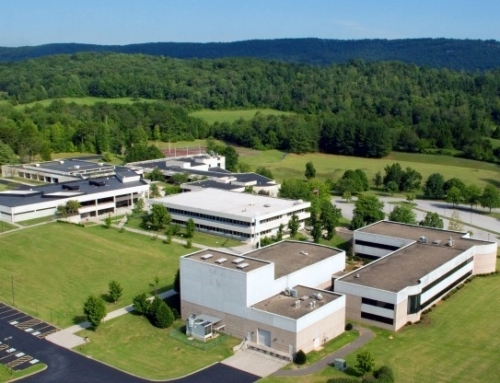 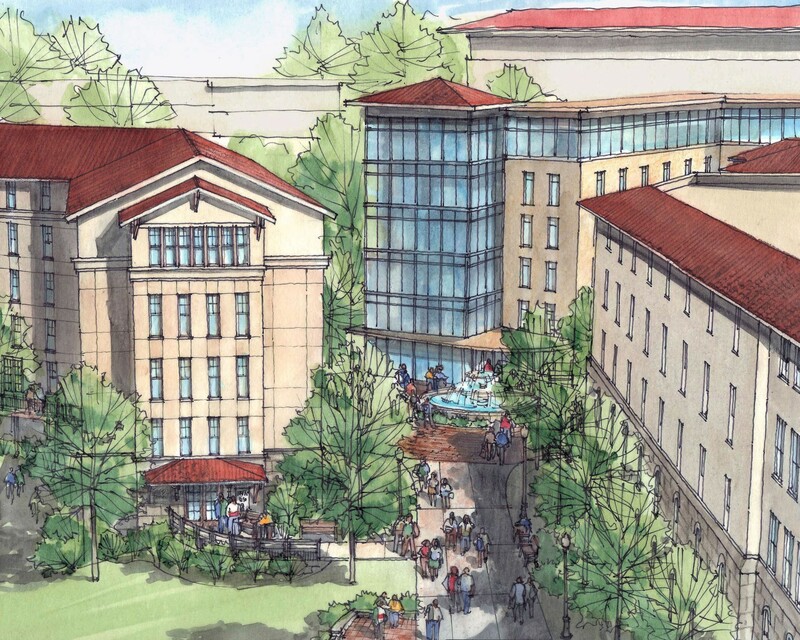 Emory University retained TSW to develop a master plan for a consolidated Freshman Housing Village complex on their main campus. 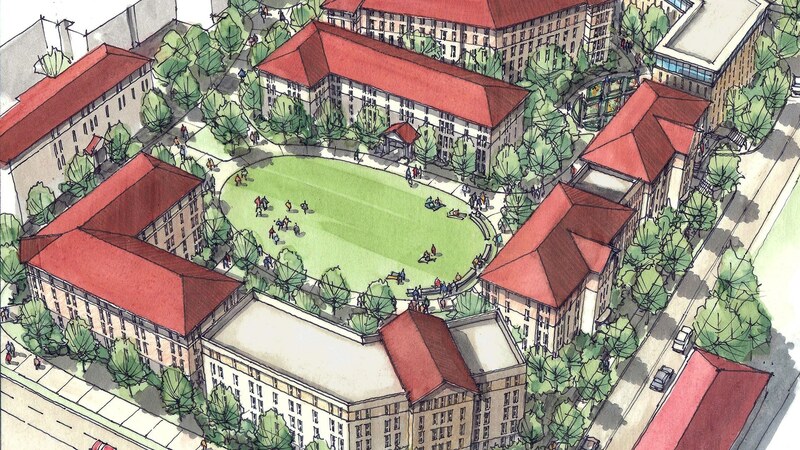 The plan consolidates the current distributed housing into 10 new facilities that meet Emory’s bed count, building size and site availability goals. 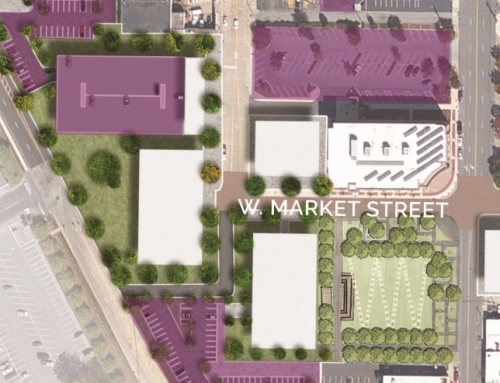 The plan incorporates a major road realignment, an underground parking area, covered service drive access and conversion of a roadway to a primary pedestrian mall. 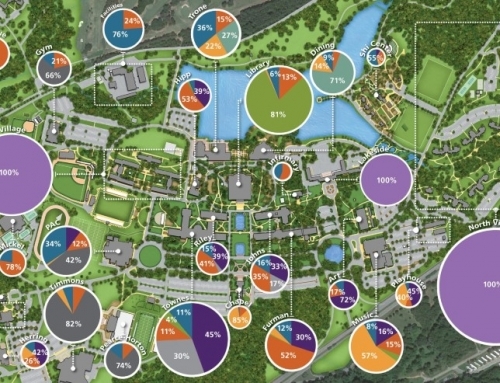 Numerous types of greenspaces align with individual or clusters of buildings to provide each hall with a “sense of place.” Unique hall identities will be further supported through programming, architecture and thematic elements.